Seattle Naturopathic and Acupuncture Center specializes in care for Automobile Accidents and Injuries. We offer a variety of treatments to help with pain that you may be experiencing. We at Seattle Naturopathic and Accupuncture center practice integrative primary care and Naturopathic family medicine with an emphasis on the integration between conventional and complimentary care. 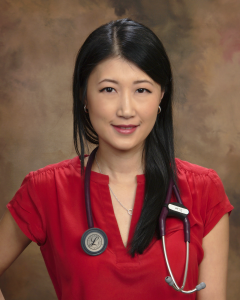 We at Seattle Naturopathic and Acupuncture Center are delighted to have Dr. Lee as the treating physician. Dr. Lee has had a passion for health and healing from a young age. Dr. Lee has invested over 11 years of study acquiring her university degrees in Naturopathic medicine, acupuncture, injection therapy medicine, and Chinese herbal medicine. Dr. Lee obtained her Naturopathic Doctor degree and Masters in Acupuncture and Oriental Medicine from Bastyr University, WA and her undergraduate BSc. degree at University of British Columbia with a double major in Nutrition and Food Sciences. She is a licensed Naturopathic physician in both Washington State and British Columbia, Canada and is a certified Diplomate of Acupuncture from the NCCAOM. Dr. Lee grew up in Vancouver, B.C. and enjoys cooking and baking. She also writes health blogs on Naturopathic treatments and acupuncture at her leisure. To find out more, feel free to look at our webpage. Or if you would like to schedule an appoint click here.